September 18, 2018 (Last Updated: April 9, 2019) - As an Amazon Associate I earn from qualifying purchases. 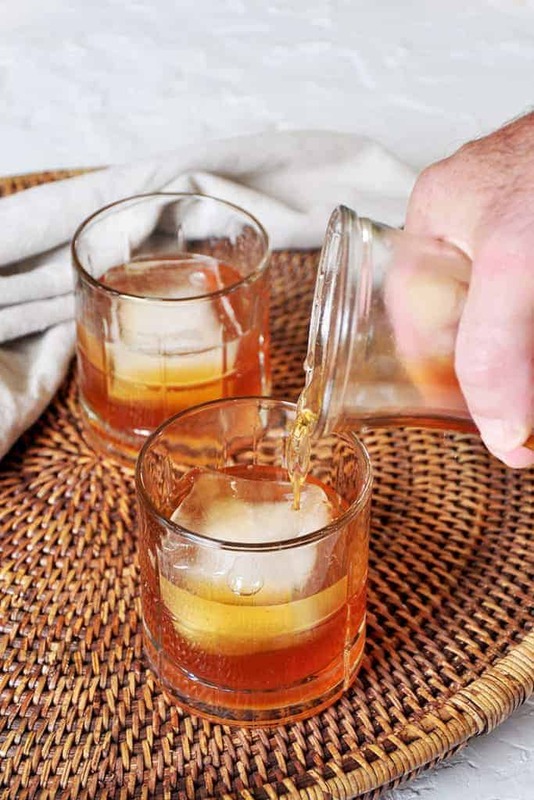 This Homemade Apple Brandy has all sorts of adult holiday comfort in a bottle. 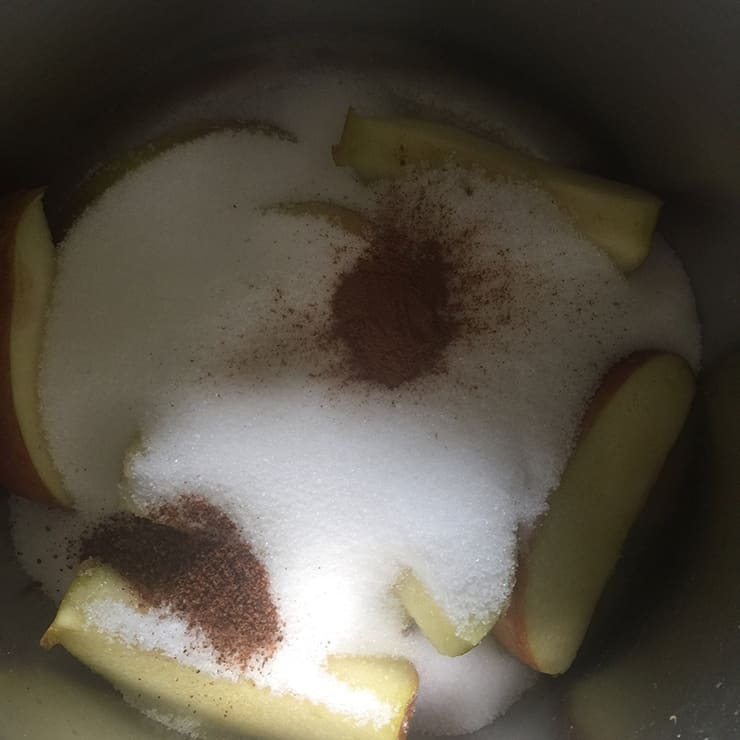 Spice up your liquor cabinet with this fun and tasty apple drink. We are starting to wind down our Apple Pie series and I want to get one more good punch of great apple pie flavor in with an Apple Brandy recipe. This Apple Brandy has all the flavors of apple pie and is a great way to sip on a bit of Christmas. In fact, that is the first thing my wife said when she tried it. “Ohh… that is like sipping on Christmas.” Incidentally, Christmas and Apple Pie share quite a few flavors. This recipe is really easy, a fun little project, and pays dividends in flavor. 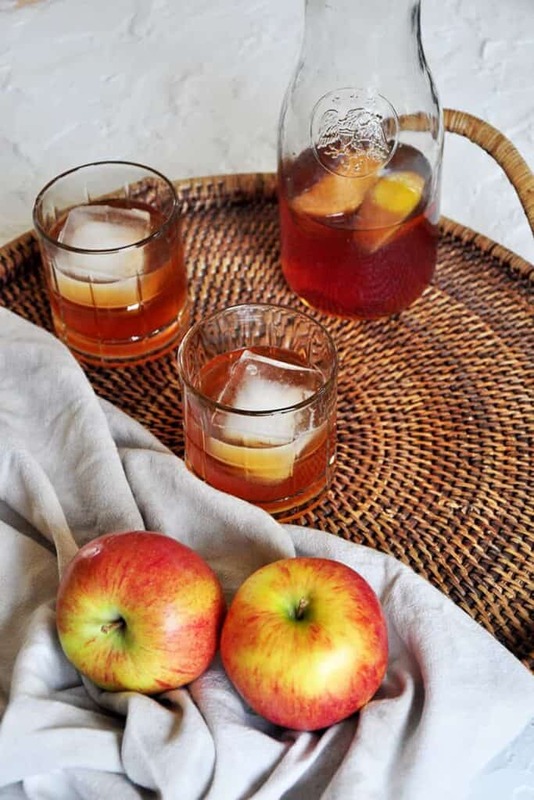 Enjoy this tasty Homemade Apple Brandy. What Does This Have To Do With Apple Pie? Look at the flavors. 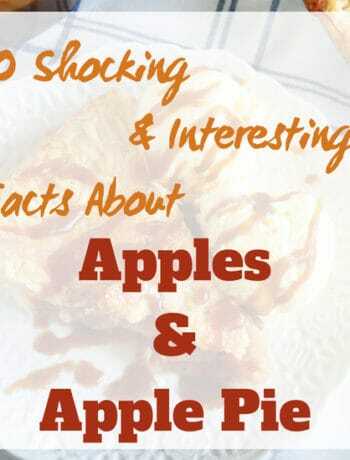 It shares so many tastes and flavors that go along with Apple Pie. Yes, it has apples. Surprised yet? We also add sugar, cinnamon, and nutmeg. The first is sugar. Apple pie definitely has plenty of sugar. I mean, it is a dessert pie, right? Of course, we want a bit of sweetness with it. The other two ingredients, cinnamon, and nutmeg, are obvious bedfellows with apples and apple pie. Then, we put booze in it. Ha! 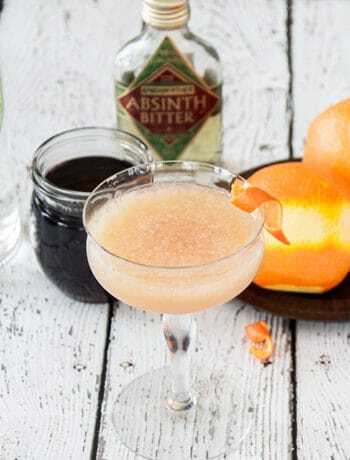 This apple pie flavor is perfect for a boozy, adult cocktail. We warm the ingredients of this drink, but boiling it can have some adverse side effects. If the liquid starts to boil, we are going to see the alcohol content change for the worse. We want to maintain the alcohol content and mix all the flavors together. Instead of boiling, make sure everything combines at a nice warm temperature. This will make sure that all of the yummy flavors are infused while protecting the alcohol of our brandy. How Should I Serve This Drink? 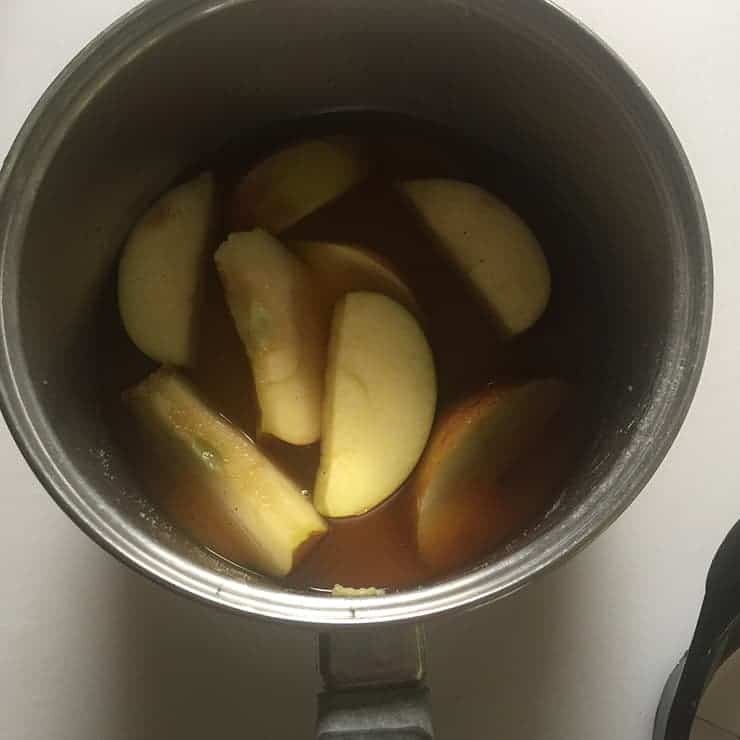 I have been drinking homemade apple brandy cold, but I think it would be a very nice warm drink as well. 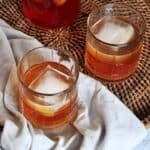 Just like many people enjoy warmed apple pie, these flavors can be very good as a heated up cocktail. If you are like me and enjoy the drink cold, I would store the container in the refrigerator and then serve it over some ice. Where Should I Store The Apple Brandy? We let all the flavors sit at room temperature, so I don’t know why it can’t be stored like that? If you want your apple brandy to start at a cold temperature, keep it in the fridge. This really is a tough drink, so don’t get too caught up in how to store it. I would say that you should use it up within a month or so of completing the recipe. But, that shouldn’t be that hard, right? 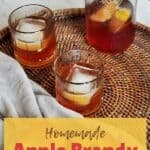 I hope you have enjoyed our Homemade Apple Brandy recipe! 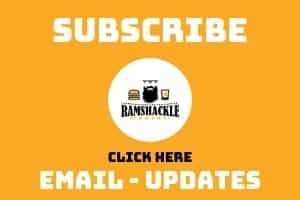 If you like what we are doing here, please subscribe to get updates via email and make sure to follow me on Instagram! It is like sipping the holidays! This Homemade Apple Brandy is a flavorful spirit that really can get that holiday cheer going. Its apple pie flavor is divine and is a drink that can be served warm or cold. This Apple Brandy really is something special. If the end product is too thick for your liking either add more brandy (for a stronger drink) or water to taste. I can’t wait to make this for my husband! He is a big brandy fan and will love this! Now I call this a treat! I’ll definitely be filling some jars this fall. Sounds like some great fall flavor! I could be convinced to have this instead of apple pie for dessert! This looks like a fabulous winter drink! I’m really craving cold temperatures now! Looks so comforting and warming – perfect on cold winter days. Pinning! Perfect for chilly fall nights. Great drink recipe! 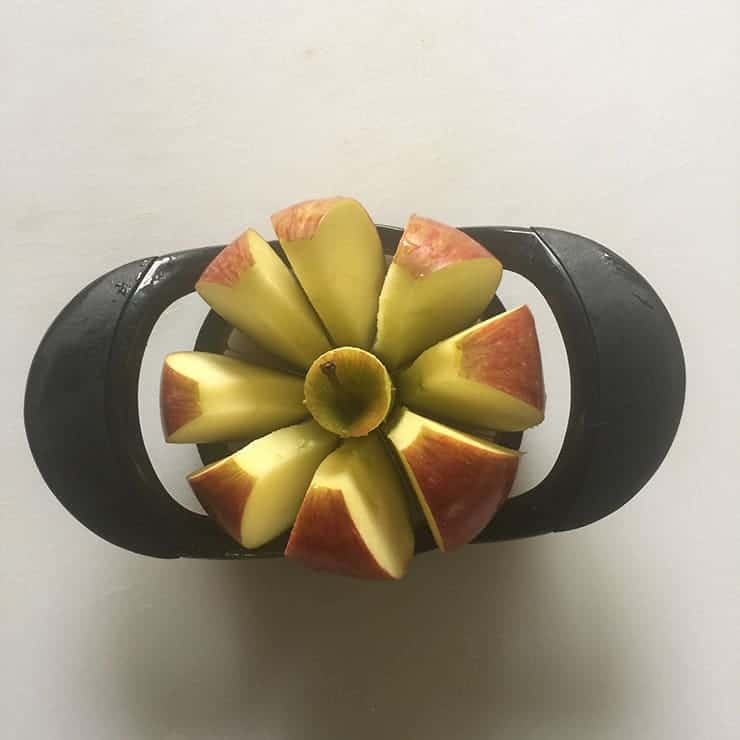 What is your favorite kind of apple to use in this? Sweet? Tart? Oh jeez, I am not sure what would work best. I did use Braeburn for this drink, but a nice tart apple would work really well. I am making this brandy for our Christmas party this year!! Everyone is going to love it and I’ll make extra to give out as gifts. Yay and thanks for sharing! What is a good brandy to use for this? E&J would be a fine brand to use for a recipe like this. Warm or cold, I think this would be wonderful! Perfect for a cold night, which will happen for the first time this weekend! Great for the holidays.